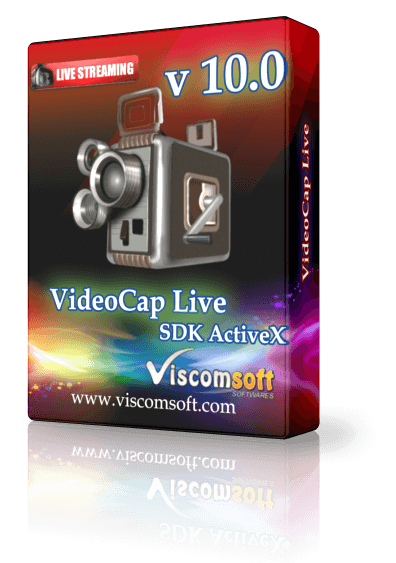 Step 1: Install the VideoCap Live Streaming SDK ActiveX, begin by launching the setup file (http://www.viscomsoft.com/demo/videocaplivesetup.exe). Select the desired installation folder for the VideoCap Live Streaming SDK ActiveX and continue with the installation on your development computer. Step 2: On the Youtube homepage, click on your user photo then select Creator Studio. Step 3: Select LIVE STREAMING - Events. Click New live event button. Step 4: On the Info and Settings, select Basic info tab, enter the relevant information about the stream (title, description, date/time, location, and so on) into the fields. Click Create event button. Step 5: Ingestion Settings, select Single-use stream key. Under Select your encoder, select Other encoders. Then, make note of the Stream Name and Primary Server URL information to a text document. 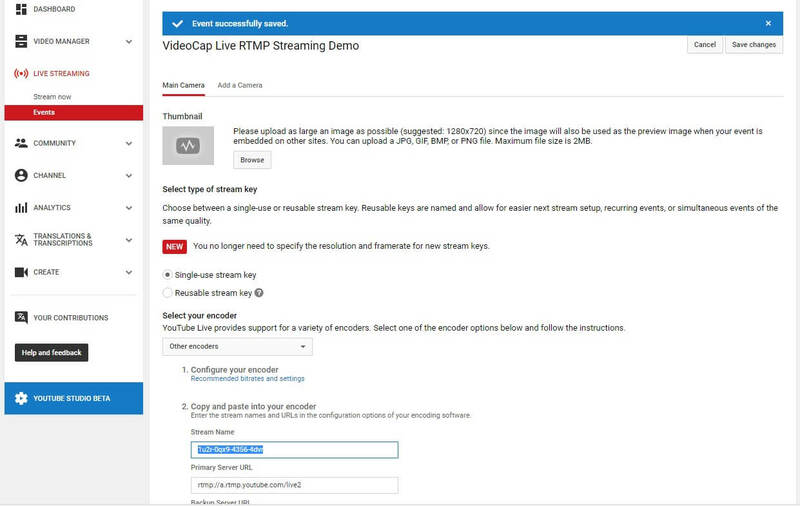 You'll need this information when you run our sample that sends the stream to YouTube. Click Save changes button. 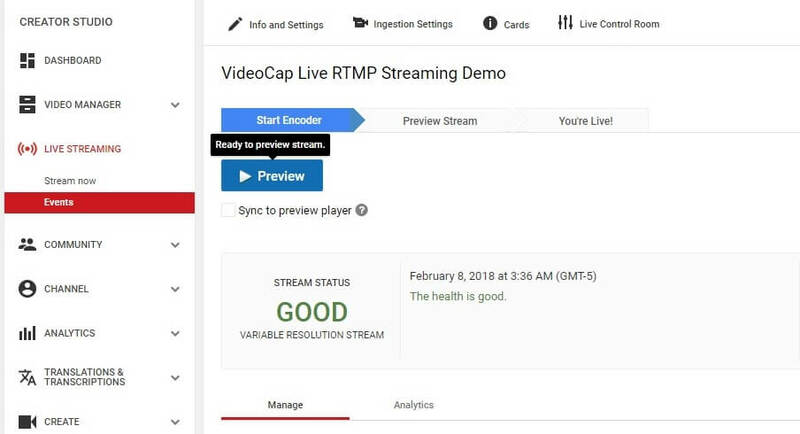 Step 6: Run our RTMPLiveStreaming sample, Enter the RTMP URL and Stream Name you obtained above and click Broadcast button. Step 7: In youtube, Click Live Control Room, if VideoCap Live connected to youtube, the Streaming Status will changed to GOOD. then Preview button will enable, you may click Preview button and select OK to confirm. Step 8: Later the button will changed to Start Streaming button, you may selected Sync to the preview player, then click Start Streaming button.